This beautifully designed sterling silver ring creatively turns itself into a Trinity knot. 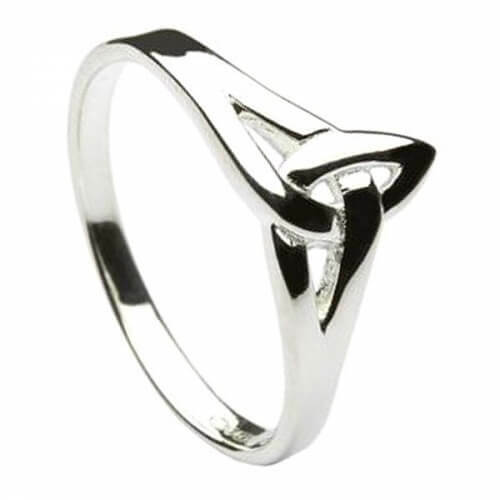 The simplistic and intricate manufacturing of this ring is ideal to look at. It would make a great gift not only for those who know the symbols history, but also for those who like fashion. The trinity symbol has been a part of mankind's history for thousands of years. 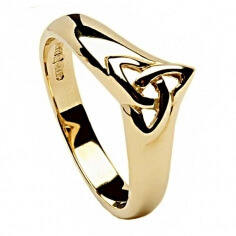 It was an important symbol in Celtic heritage not only for the rings symbol of continuity, but also for the belief that everything came in threes. It has merged into Christianity history also and symbolizes the Holy Trinity. Service rating : Fast delivery, lots of updates en route. Product : Excellent quality, good presentation box. 4 Stars only because of the slightly torn-off sticker on outside of box, was a ****** to get clean. Service rating : Kindness, willingness of customer service. The shipment is perfect and very fast. 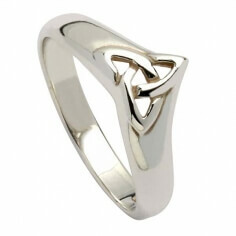 Product : The ring is amazing. Perfectly shaped. I was very pleased with this beautiful and delicate looking ring.